In the spirit of Halloween, today’s program concerns one of the most prevalent and legitimate fears held by the people of eighteenth-century Charleston. I’m talking about taphophobia—the fear of being buried alive. Premature burial was a real concern back in that era, when the line between life and death was poorly understood. Today we’ll explore a few cases that are sure to leave a haunting impression. Taphophobia is a fancy word invented in the twentieth century to express a fear that has persisted through the ages from ancient times to the present day. Combining the Greek words for “grave” and “fear,” taphophobia signifies more than the simple fear of the grave. The word was coined to express a more specific and arguably more terrifying aspect of the matter—the fear of being put into a grave while one is still alive. Stories of people awakening at their own funeral, or screaming or knocking desperately from inside their coffins, have been passed down through many centuries in the folklore of diverse cultures around the globe. Closer to home, taphophobia was a very real part of life in early Charleston, existing side-by-side with such powerful anxieties as the fear of Spanish invasion, or the fear of non-alcoholic beverages. In order to better understand this phobia, let’s begin our journey into the past with quick survey of “normal” funerary practices in the early days of Charleston. In an era long before the advent of undertakers and modern hospitals, the rites surrounding the interment of the dead in eighteenth-century Charleston were usually quite simple and relatively brief. Immediately after death was pronounced, the deceased was usually laid out, in a dignified pose, in his or her bed for a final viewing by family and close friends. After procuring a wooden coffin from a local cabinetmaker or upholsterer (who always had stock ready for delivery), the family would invite a clergyman to perform a short funeral service at the home. Here, in the presence of a select group of family and friends gathered around the body, the clergyman would say a few prayers and offer spiritual consolation to the bereaved. All of the steps I’ve just mentioned usually transpired within a period of 24 hours. In general, corpses in 18th-century Charleston were usually buried on the day following their death. Our sub-tropical climate probably motivated mourners to commit the deceased to the earth as quickly as possible, but social conventions often checked that desire. Burials on the same day as death would have been viewed as unnecessarily—or even suspiciously—hurried. At the very least, such a quick interment would have been an affront to friends and family who wished to pay their last respects in person. Consider, also, that it would take one or two men using spades several hours to dig a six-foot-deep grave. You can’t hurry the casket to the cemetery if the ground isn’t ready to receive it. Burials after sunset were not technically illegal, but they were certainly discouraged. The idea of depositing a body in a grave after dark was more suspicious than ghoulish to the people of early Charleston, as there would not be sufficient light to see that the correct person (and only the correct person) was being interred. Rather than committing a body to the ground at night, many folks performed an all-night vigil with their deceased loved one. This practice, common to a number of different cultures and religions, provided either a period of somber reflection or perhaps a night of memorial revelry. The all-night vigil or wake, or whatever you might call it, had another important purpose: it provided the mourners with a period of close contact with the body to make sure it was in fact dead. Notice that I haven’t said anything about the presence of a medical expert. Doctors were few and far between in early America, and the state of medical science was far less advanced than that of our present world. Our modern first-responders, paramedics, and highly-trained nurses were all entirely absent in early Charleston. So who decided when a person was, in fact, dead? For better or for worse, it was usually one of the people closest at hand. That person might check for a pulse, listen for breathing, and feel the temperature of the skin. Based on these observations, he or she could pronounce someone to be dead. If the subject was affluent, one might summon a doctor to confirm this diagnosis. If the subject was a poor person, or an enslaved person, the living often began making preparations to bury the dead without the benefit of a doctor’s opinion. Men may flatter themselves, that they never shall have the plague, Small-Pox, or any other particular Disease, and therefore regard with Indifference those Writings that treat of them; but none are ignorant, that Death is inevitable to all, none need to be taught that Life is desirable, or to have it proved, that being buried alive is the greatest Misfortune to which human Nature can be subject. It was the Opinion of Democritus, Celsus, and others of the great Ancients, that Death does not manifest itself by indubitable Signs; by their great Authority, I could add the Confession of some Physicians of the first Class among the Moderns, whose Place and Character set them above Suspicion, who have owned [acknowledged], that they have been ready to bury the Living, when happily prevented by discovering Signs of Life in the Persons supposed to be dead. To strengthen their Opinions, I will add some examples from History, which I hope will be sufficient to put all Persons on their Guard. The Romans, in Pliny 's Time, kept their Dead seven Days, and then burnt them. The same Pliny, an Author of undoubted Credit, informs us, that Lucius Lamia, who was honored with the Prætorship, and Acilius Aviola, who had been Consul, were both burnt alive, the Flames having made such progress before the fatal error was discovered, that it was impossible to save them. If a Week's Time was not sufficient to ascertain the Death of the Party, what can we think of the Practice of burying in 24 hours—the too general Custom in this Province? . . . I said above, that the Indications of Death are not sufficiently certain. The Distempers in which we are most liable to err, are, the Apoplexy, Swoonings, the true Suffocation, as by strangling, stifling, drowning, close Places, noxious Vapours and Exhalations; and the false or convulsive Suffocations, as from Hysterics and hypochondriac Disorders, &c. The Apoplexy, if I am right informed, has been more common than usual within these six Months, in this Province, and generally fatal; and I have observed, that their Interments have been within 48 Hours, some 20, of their supposed Death. Tho’ I have no Reason to think any have been buried alive, yet I sincerely wish, most of them had been kept some Days longer: It could have done no Harm. There are three general Methods of discovering latent Life. The 1st, is by the Pulse, which should not only be felt for at the Wrist, but sought for between the Thumb and the Bone near the Metacarpus, at the Temples behind the sterno-mastic [sic] Muscles, at the Groin, and at the beating of the Heart in the left Side; great Care and Diligence is to be used in this Search—yet the Absence of the Pulse is not conclusive—Dr. [Jacques-Jean] Bruhier, of the Royal Academy of Sciences at Paris, has proved, how the Motion in Arteries may be totally insensible, and yet exist. The 2d Method, is by the Respiration: For this there are several Experiments, as, holding a burning Candle near the Mouth and Nose, a fine clear Glass, a Feather of very fine Down, yet these are not to be depended upon as conclusive; for, tho’ the Flame continues steady, the Mirror bright, and the Feather motionless, as also the Experiment of placing a Glass of Water on the Pit of the Stomach, tho’ the Water have no Motion, yet there may be latent Life. The 3d Method is, by chirurgical Experiments, by pricking, cutting and burning; even these are sometimes insufficient to produce Signs of Sensibility, tho’ the Life still remains. If there is any Reason to presume latent Life, I would advise stimulating the Nostrils with Acids, volatile Salts and Spirits; to irritate the Organs of Feeling with a small Whip, and those of Hearing by a Shrill Noise; and wait for a Mortification, the only sure Sign of Death, in my humble Opinion. . . . But I will conclude this Letter, which is already too tedious, with the following Remarks. 1st. That great Caution should be used in burying persons whose Death, has not been preceded by the usual Symptoms of an approaching Dissolution. 2dly. That in doubtful Cases, great Care should be taken of the Body, so as not to prevent a Revivification. And 3dly. That we should rather suspect, those Deaths that follow Diseases not mortal in their own Nature, as, an Apoplexy more than an apparent Mortification. As everyone who knew me, also knew that I had a retentive memory, one day J[oh]n Mills, the Sexton, whom I mentioned as one of our passengers, asked me if I recollected a young gentleman who died some years ago in Charlestown, of the name of [George] Woodrop? I told him “perfectly” and also that my father was a mourner at his funeral, that he died at night, and was buried at 11 o’clock the next forenoon. On my father’s taking off his [black, funeral] hat-band, he expressed great uneasiness, and said the body did not appear like a dead corpse, there seemed to be a bloom on the countenance! That he had mentioned this to Mr. Andrew Robertson, Woodrop’s uncle; but he declared he was actually dead. On asking him why the funeral was so hurried, and not put off till the evening, as others in general were, he said ‘Mrs. Robertson could not bear the corpse in the house as she had so many young children.’ Mills then asked me if I recollected nothing else. I told him I did—about two years after, a report prevailed, that Mr. Woodrop was buried alive, but, on endeavoring to gratify my curiosity I never could get any information to be depended on, and I, as well as many others, had given up all further enquiries. Mr. Mills then said in the presence of my uncle [Robert Rowand,] Mr. John Wyat [sic], and others who were listening to our discourse. ‘I am now released from the solemn promise I made to Mr. and Mrs. Robertson, refusing all information on that melancholy subject, to any person who should apply to me in Carolina. The dead could not now be raised.’ He continued ‘As my predecessor Mr. [William] Pratt was very old and infirm, I assisted him in digging graves often, but was not long enough with him to be thoroughly acquainted with the situation of the burying ground, and could not tell, without much probing and searching, what graves were ripe, for other interments. The funeral of another person being ordered at an early hour, he was obliged to dig the grave at night. He had two black boys with him. The spade, in shaping the grave, broke a piece off the side of a coffin. Mills said he then descended into the hole and saw the backbone of a human skeleton. This unusual posture for a dead person surprised him not a little; so that, with the assistance of his boys, he opened the grave, uncovered the lid of the coffin, and found the deceased lying on its side, with the cheekbone in the palm of the hand! On the breast plate was painted George Woodrop, died 1770 aged 22 or 23 years I forget which.’ To this horrid tale, that seemed to harrow up our whole nervous system I added, ‘that my father visited the unfortunate youth, in his illness, at the request of Mister Robertson, to endeavor to rouse his spirits: the fever being pronounced nervous. He said to us when he returned, that the doctors say that little or nothing is the matter with him[;] it is all on the mind. Every error of youth, every transgression seems to sink him down, particularly his attachment to that infamous woman, S— R—’. Cremation is an ancient funerary practice, but it was unheard of in early South Carolina. Most people in the English-speaking world of the eighteenth-century viewed the human body as the work of a divine creator, and to burn a dead body was an act of sacrilege. Flames and fire were associated with sin and damnation, which all good folk strive to avoid. Better to commit the body to the earth, from whence it came, so sayeth the good book. But Henry Laurens, even in his dying days, could not forget the horror of nearly burying his infant daughter alive in the spring of 1760. Wracked with lingering guilt and a strong case of taphophobia, Henry Laurens was determined never to awake inside a wooden box. He sought and found biblical passages that seemed to condone the act of cremation, as purifying rather than defiling the flesh. Martha Laurens’s husband, Dr. David Ramsay, later recalled that “Mr. Laurens often spoke of his preferring the incineration of the dead to their inhumation [that is, burial in the earth]. His reasons were a belief that several persons were buried before they were irrevocably dead. This opinion was perhaps strongly impressed on his mind from what happened to his own daughter. . . . He dreaded, as infinitely worse than certain death, the possibility of life returning to him when shut up in a box in the cold ground, so far below its surface as to be out of the reach of human help. He also, consistently with scripture, entertained high ideas of the purifying nature of fire, as separating all dross and defilement from the substances to which it was applied.” In pursuit of his filial duties, Henry Laurens Jr. erected a funeral pyre for his father at their plantation on the Cooper River, called Mepkin. On Tuesday, the 11th of December 1792, three full days after his demise, the body of Henry Laurens was set alight, an act witnessed by only his son and a handful of enslaved servants. Legend tells us that as the flames engulfed the body, the head of Henry Laurens toppled down from the pyre and landed at the foot of an enslaved man, who then carefully lifted the celebrated orb and returned it to the fire. 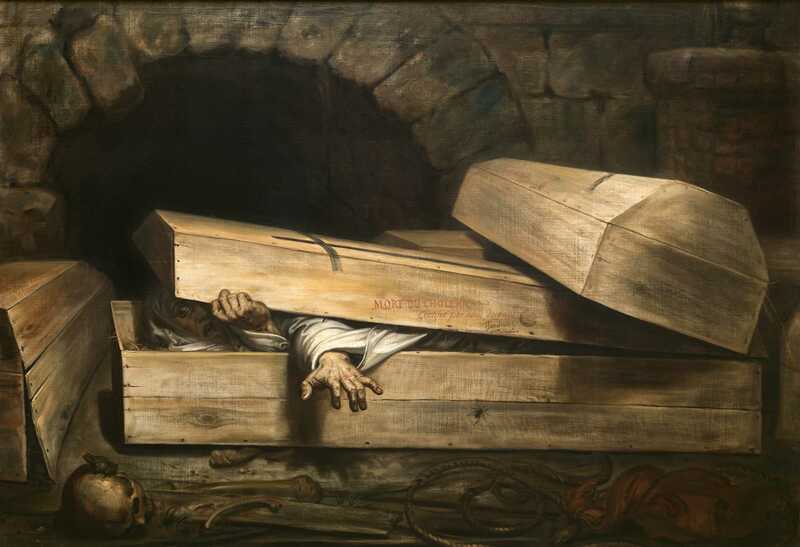 Surely, in the 21st century, this irrational fear of being buried alive has gone the way of the dodo, one might presume, and the marvels of modern science prevent such tragedies from occurring these days. Despite our scientific prowess in the modern era, however, the horrifying specter of premature burial has followed us into the twenty-first century. From time to time in the news, we learn about a person thought to be dead awaking in the hospital morgue, or at the funeral home. Most recently, in June of 2018, a South African woman awoke in a freezer at the morgue. This Halloween season, while you’re reading Edgar Allen Poe’s 1844 short story, “The Premature Burial,” I invite you to ponder the following observation: While the notion of the dead walking among the living is just a bit of Hollywood fantasy, the reverse—the living trapped amongst the dead—is a very rare but nonetheless terrifying reality. For more information about the history of this phenomenon, see Jan Bondeson, Buried Alive: The Terrifying History of Our Most Primal Fear (New York: W. W. Norton, 2001). 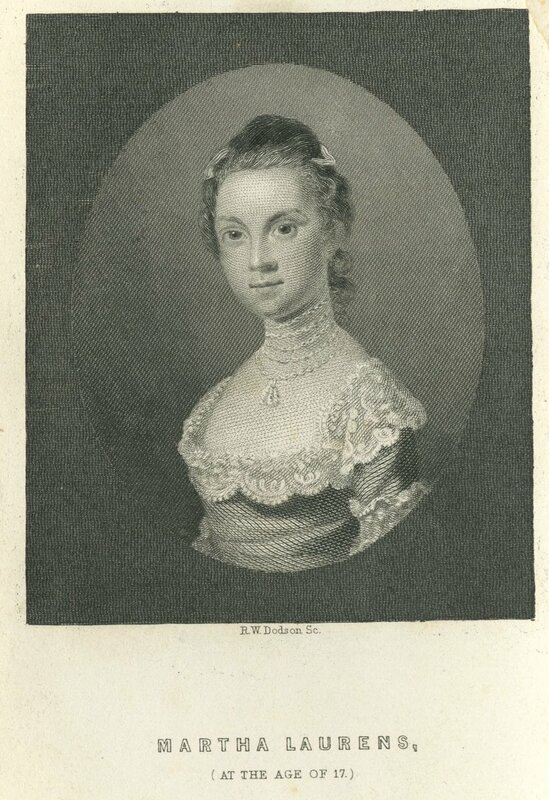 David Ramsay, Memoirs of the Life of Martha Laurens Ramsay (Charlestown, Mass. : Samuel Etheridge, 1812), 11–12. For more information about smallpox in 1760 Charleston, see Suzanne Krebsbach, “The Great Charlestown Smallpox Epidemic of 1760,” South Carolina Historical Magazine 97 (January 1996): 30–37. 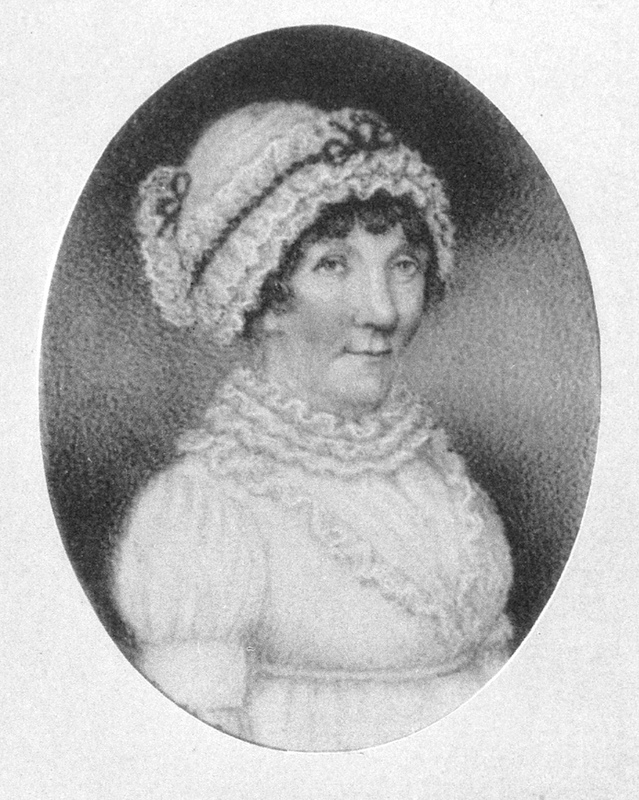 Louisa Susannah Wells Aikman, The Journal of the Voyage from Charlestown, S.C., to London, Undertaken during the American Revolution by a Daughter of an Eminent American Loyalist In the Year 1778 and Written from Memory Only In 1779 (New York: New York Historical Society, 1906), 54–56. Will of Henry Laurens, dated 1 November 1792, proved on 7 January 1793. Charleston County Will Book B (1786–1793), page 712, transcribed in WPA transcript volume 24C (1786–1793), pp. 1152–58. His executors were son Henry Laurens Jr., son-in-law Dr. David Ramsay, and “friend” Keating Simons. Ramsay, Memoirs of the Life of Martha Laurens Ramsay, 209–10. Henry Laurens died on Saturday, December 8th, 1792, and his body was burned three days later, on Tuesday, December 11th. See David R. Chesnutt and C. James Taylor, eds., The Papers of Henry Laurens, Volume Sixteen: September 1, 1782-December 17, 1792 (Columbia: University of South Carolina), 792–93.